Eating healthy comes with a lot of adjustments, a clean-out of your pantry and fridge, and determination. It's hard to stick to a new eating lifestyle, I'll be the first to admit it. I'll also admit that in eating clean, I'm not perfect and more often than not will slip something deliciously sweet into my day. It is my kryptonite and as long as I remain aware of that, I can keep a balance of the treats I enjoy and the good, solidly nutritional foods I should be taking in. Another HUGE aspect eating well for your body and sticking to it is getting creative in the kitchen. It can be hard, but you've got to be willing to try something you might not have before. And you have to be open to some extra work like researching the additives you can put into a recipe to boost the nutritional quality (i.e. ground flax seed). It will be worth it and your body will thank you for supplying it with the foods/nutrients it needs to take on the day. A recipe I have found and want to share is a quick kick-start to your morning. There's some prep work involved at the beginning of your week, but that makes for a simple breakfast that's ready to go on your weekday mornings when there's no time to lose. It's healthy and taste great; no joke, I wouldn't misguide you. 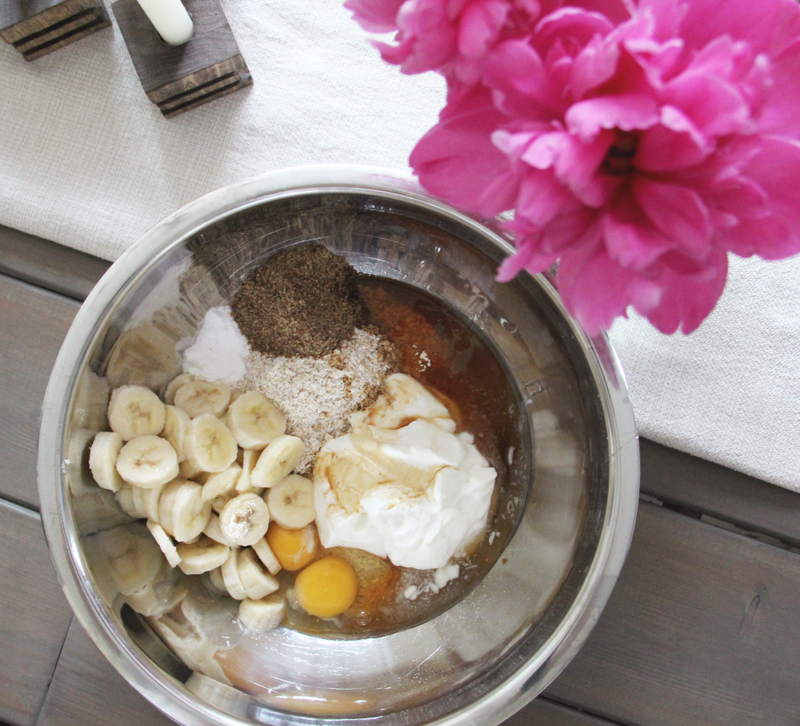 Imagine eating a healthy version of banana bread for breakfast. Not to mention this recipe is so versatile for adding in your favorite "toppings" (i.e. nuts, raisins, dried fruit, chocolate chips). It will store in the fridge for up to a week and half. When breakfast rolls around, you can microwave two muffins for 30 seconds and serve them on a plate with two slices of turkey bacon and a clementine or other fruit of your choice. In less than five minutes you have a well-rounded meal that will carry you until your mid-morning healthy snack. 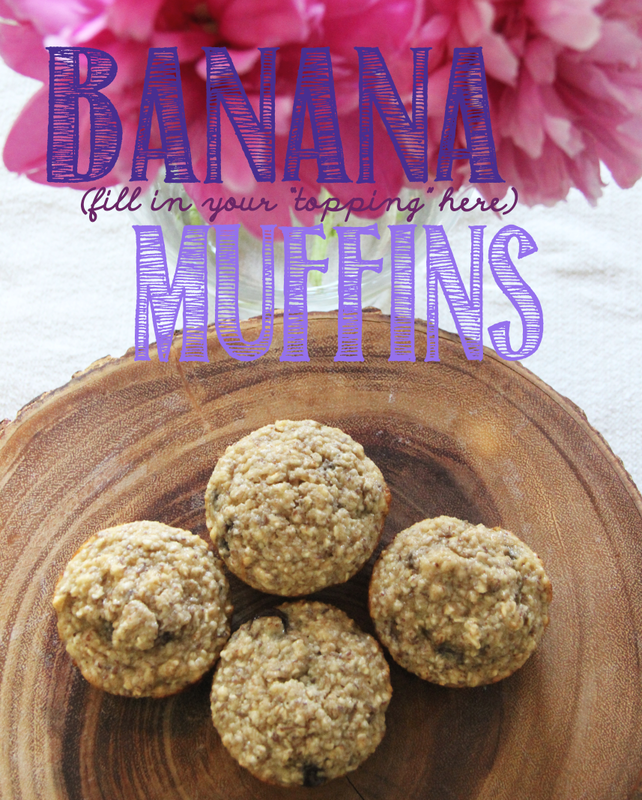 These muffins are tasty time-savers! In a food processor pulse your oats for about 20 seconds. Then put them in a large mixing bowl and add the remaining ingredients. Before adding the bananas, cut them into slices, making it easier to whip the batter smooth. With a hand mixer, starting on low, combine all the ingredients until well mixed and no banana still appears as a slice. Bake the batter in a muffin tin at 350° for 12-15 minutes or until the muffins look done.